Europe’s September textile fairs for A/W 2017/2018 in Paris, Milan and Munich were overshadowed by the economic and geopolitical situation. The textiles fairs in Paris are feeling the effects of the state of emergency in France. The global sense of crisis is encouraging more localised streams of visitors to flock to the fairs coupled with a process of consolidation. At the same time, Milano Unica’s decision to announce new dates in July 2017 is fuelling the debate over exhibition dates. Caught up in the national state of emergency, Paris lacked not only the excitement and anticipation that usually comes with the start of each season, but also the buyers. 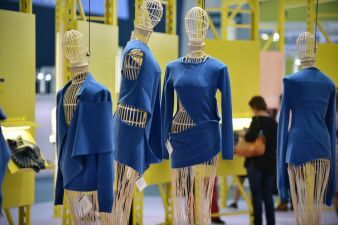 Texworld featuring 987 exhibitors (100 more than in September 2015) and Apparel Sourcing with its 540 exhibitors suffered an overall 4.6% dip in visitors. Given the circumstances, Michael Scherpe, President of Messe Frankfurt France, does not see this as a “drastic decline”. In fact, he even went as far as to say that he was “very pleased”. Turkish companies experienced delays of up to four weeks in receiving their visas, whilst governments and companies were issuing warnings to staff in the wake of the Nice attacks. The Islamic Festival of the Sacrifice also coincided with the fair. Exhibitors noticed the absence of international buyers, but noted that the French are showing greater interest in “their” home fairs. Her Ching Knitting from Taiwan commented that Texworld had gone “better than last year”. The five trade fairs that make up Première Vision in Paris-Villepinte had to shoulder an 8.8 per cent slide in trade buyers to an official total of 56,475. The number of visitors from Germany dwindled again to 2,074, falling into sixth place in the ranking of top visitor countries, and drifting behind China. Given that the number of exhibitors also inched down by 1.3 percent, ever more international exhibitors are voicing concerns that the high investment costs needed to appear at these fairs are no longer worthwhile. They note that important decision makers are staying away, having already viewed the collections at previous fairs and/or during personal meetings back home. Various suppliers such as J.L. 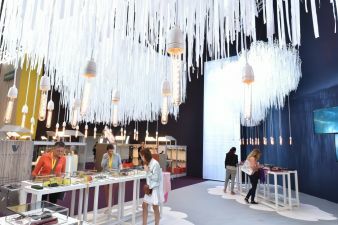 de Ball from Germany, which is well known for its high-end fake furs and microfibre products, the Italian company Viscotex and even fancy weaving mills such as Shamrock (TR) think the exhibition dates are “too late”. J.L. de Ball is, therefore, not the only company that intends to give Paris “a complete rethink”. 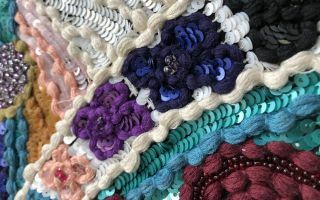 The Italian textiles fair Milano Unica (442 exhibitors) has already responded and is bringing forward its main event for autumn/winter 2018/2019 from September to July next year. The venue and exact dates are yet to be confirmed. “Prima Milano Unica”, which last took place from 6-7 July 2016, is already positioned early in the calendar as is “View” by Munich Fabric Start at the beginning of July. Market players believe that this trade fair will experience strong growths. Faced with international uncertainty, trade fairs are succeeding at a local level. One such event is Munich Fabric Start in Munich (D). The fair no longer releases absolute visitor numbers but has announced an official growth of 3 percent. 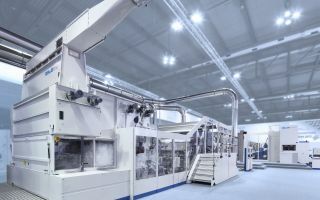 Benefitting from a new hall on the Zenith site, it has been able to create more space and thus raise the number of exhibitors to more than 1,000. The new Hall 6 complements the Bluezone, expanding the range of denim in the process. Commenting on the changes, Barbara Gnutti of ITV Denim spoke of a “new energy” and “new motivation”. The creative Italian company is also a member of the ITS (Integrated Textile Service) Network, an association of small and medium-sized Italian denim companies that join forces to tackle the challenges in the international marketplace whilst promoting sustainability. Their manifesto can be viewed at www.reteits.com. Other partners include Abbigliamento G.&G., Itac Lab, Wash Italia, Matec and Dienpi. 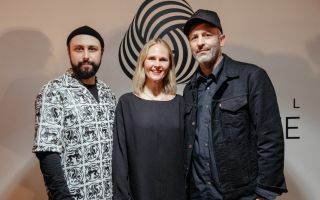 At Munich Fabric Start, the platform for sustainable textiles known as Organic Selection has been moved to the Kesselhaus (now called “Key House”) in the wake of the restructuring programme and has been joined by the exhibitors from the fields of machine technology and recycling/cradle to cradle. Signs of market consolidation are becoming increasingly apparent. Giovanni Lardara, Managing Director of J.L. de Ball, has been observing this development for the past two years. Even agency owners, such as Michael Berner of Textilagentur Berner & Sohn, Munich (D), are focusing on suppliers that are healthy and fully integrated. “I want to see their balance sheets and their business models,” he states. This strategy has enabled him to post healthy growths even in the difficult economic climate of recent years. He is witnessing the same development particularly among brands, many of whom are actively seeking out reliable and healthy suppliers. This need is also being fuelled by the fact that companies are introducing increasingly specific rhythms and requirements.